Situated to the east of the stunning Brecon Beacons National Park, The Bear Hotel at Crickhowell had something special to celebrate this week. With the former coaching inn dating back to 1432, the Powys-based property has now been shortlisted for The Great Outdoors Magazine’s ‘Walking Pub of the Year’ honour. Going up against 14 other critically acclaimed walking pubs located throughout England, Scotland and Wales, this fiercely competitive shortlist features properties in equally stunning locations such as East Lothian, the Lake District and Yorkshire Dales. 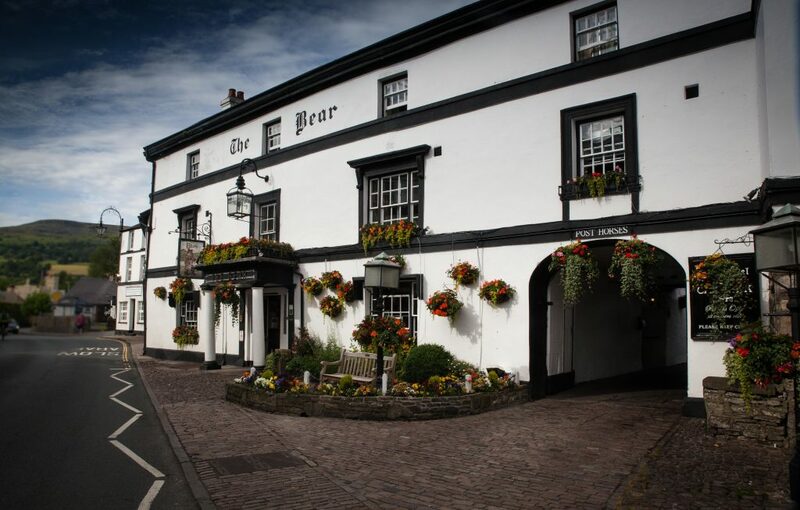 A wonderful inn in its own right, The Bear Hotel at Crickhowell is also blessed for the fact it sits in the shadow of the impressive Table Mountain or Crug Hwyel, its Welsh title. Standing proud at 1,480 ft, guests of the The Bear Hotel can explore this peak and its fabulous views with a circular walking route based literally next to the inn’s car park when returning downhill. With such a rewarding ramble based on the doorstep of the inn, it’s no wonder that The Bear Hotel at Crickhowell has made the final cut. Voting for The Great Outdoors Magazine’s ‘Walking Pub of the Year’ closes on Wednesday 31st October so cast your vote today. If you’ve ever stopped by this marvellous corner of Wales, you can vote The Bear Hotel at Crickhowell ‘Walking Pub of the Year’ for 2018 by clicking here.